Speak to Sue about any specific waxing needs you maybe have? Worried about getting a Brazilian?Well worry no more! A Noosa Beauty Therapist has found a way to deliver super smooth hair free skin without pain. Susan Pollard, owner of the beautyrooms @ noosa and her team of professional beauty therapists combine a revolutionary product with years of experience to achieve lasting results without the discomfort of embarrassment. When people think of the Brazilian Wax, they think of embarrassment and intimidation. At the beautyrooms Susan and her staff set a professional ambience to create a relatively pain free procedure. Having many years of experience as a professional beauty therapist, Susan can arrange a person's body to avoid any embarrassment. 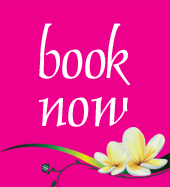 Every aspect of every therapy at the beauty rooms is delivered in exactly the same caring yet professional manner.